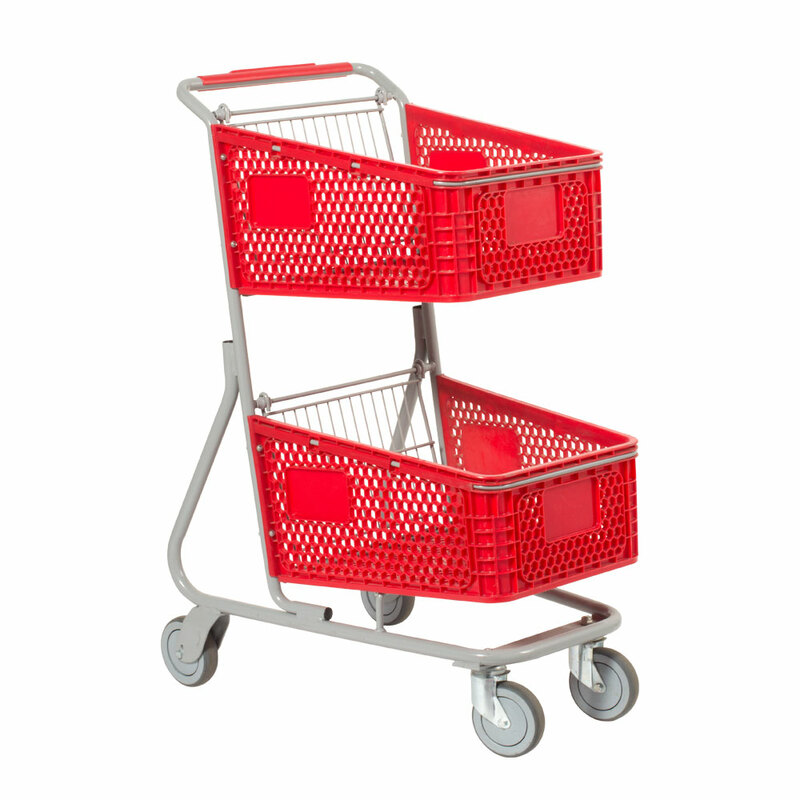 Durable and Long Lasting Plastic Basket Express Carts are a Smart Choice! This compact convenience shopping carts is designed for narrow store aisles with limited floor space. Ideal for grocery stores, neighborhood supermarkets, specialty shops and more. Durable, long lasting plastic baskets with metal wire fences provide for easy transportation and nesting storage. Lightweight and easy to maneuver with the 5 in. soft-runner wheels. Weight capacity for each basket is 44 lbs for a total load capacity of 88 lbs. Baskets dimension: 11"- 8"H (from the highest to lowest), 15"-18" L (from front to back), 20.75" depth. For more options, we ask you to take the occasion to shop our entire collection of shopping carts at Specialty Store Services today.